Ament Headache Center: Should I see a Dr? How do I know when it’s time to talk to my doctor about my headaches? If you suffer from a headache or a migraine more than three times a month, or if you find you are missing out on time with family and friends, mention it to your doctor. Also, tell him or her if you are using over-the-counter remedies for headaches more than two days a week. Many people incorrectly believe that “you just have to learn to live with your migraines”. That is no longer the case. There are safe and effective treatments available. The worst headache of your life. 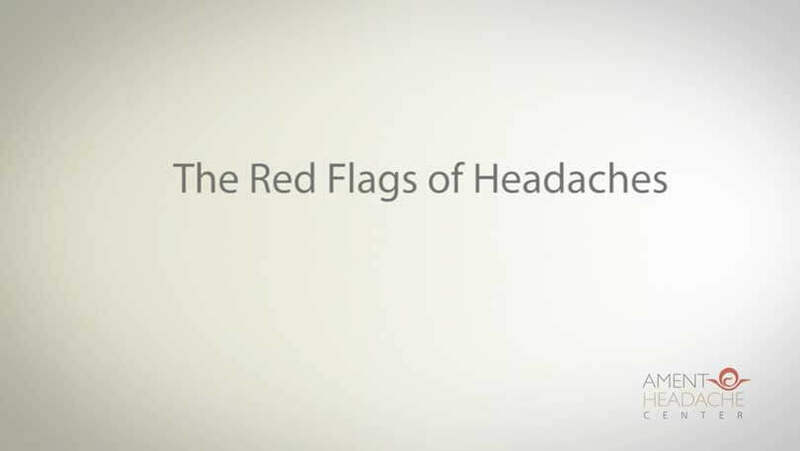 A headache associated with trouble using, coordinating, or sensing part of the body. A headache with a change in consciousness, an inability to speak, stiff neck, or severe fever and chills. If you are uncertain if your headache is being caused by something dangerous, ask your doctor. He or she will refer you to a neurologist if more specialized diagnostics and treatment are indicated. Patients sometimes receive a narcotic after a visit to the emergency department for their headache. This may help in the short run, but is rarely a wise long-term solution. Always clear new prescriptions with your primary care doctor before you fill it at the pharmacy. "Denver Neurologist Dr. Ament for Migraine Relief and Headache Remedies"